It’s a common misconception that swiping that chocolate out of your child’s hand is the best way to keep them healthy. Plus, for those with dairy allergies, indulging in a little choccy treat can be a big no-no! But put simply, if you make the right choccy-choices you can find the perfect bite to satisfy your cravings. For some people with mild dairy allergies, dark chocolate can be tolerated. If you can handle a little dark chocolate, there are even some health benefits (we can’t argue with that! ), with an increasing number of studies pointing to rich concentrations of beneficial antioxidants and polyphenol. It’s loaded with good stuff. Copper, iron, magnesium for energy, manganese, potassium, phosphorous, selenium to boost immunity and even zinc can all be found in a dark chocolate. Who knew?! But what about those with allergies? Noone should have to miss out on chocolate, so I’ve whipped up some allergy-friendly recipes that the whole family can indulge in! With only five ingredients, these beauties are so incredibly easy to whip up. Plus, they’re gluten-free, dairy-free and egg-free – perfect for everyone to enjoy. 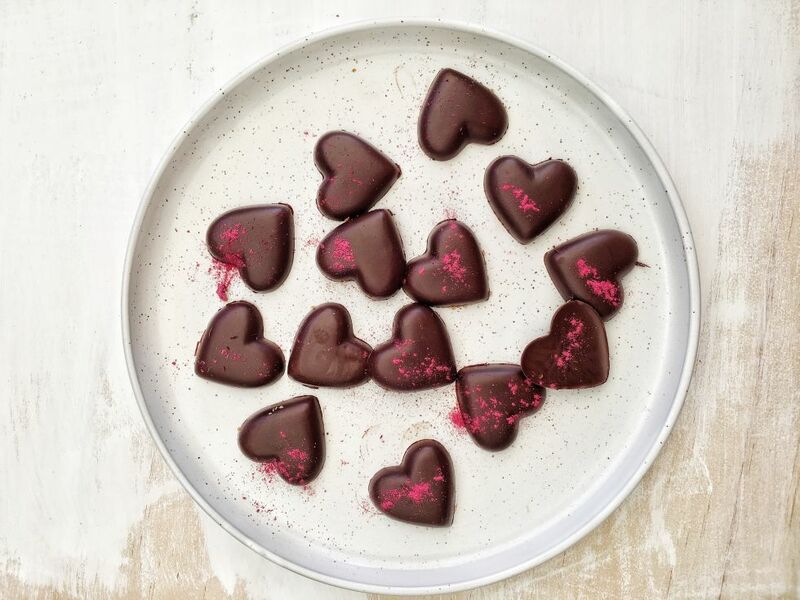 You could even get your little ones hands-on in the kitchen because the recipe is so versatile – pour them into moulds, or alternatively cool the mixture in a single layer and sprinkle fruit or nuts on top to make chocolate ‘bark’. Your kids will love this nutritious and scrumptious snack. Gluten-free, dairy-free and vegan-friendly, these can be made in minutes and will store in the freezer for up to four months (if they last that long!). Plus, they’re packed with healthy fats, fiber and are free from refined sugars and nasties commonly found in store-bought options, so you won’t feel guilty about this afternoon craving-crusher. Why not swap out the quinoa puffs with rice, millet or corn puffs, too? 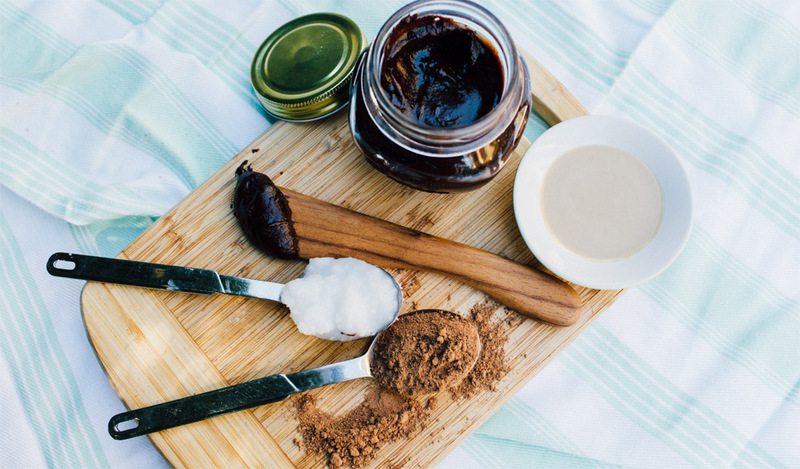 Goodbye store-bought chocolate spread. This recipe is a perfect alternative to sugar-packed spreads and can be smothered on your favorite bread or even popped into muffin recipes or used as icing. I came up with this healthy substitute during my first pregnancy when the chocolate cravings hit hard and it’s since become one of my most popular and celebrated recipes. Again, it’s dairy-free, gluten-free and even nut-free! Scones fit for the Queen herself – or the whole family when they’re craving something sweet. The base of these scones is made from almond flour, which is high in fiber and protein, a combination which will help to stabilize blood sugar levels and keep little bellies (and big ones) feeling full for longer. 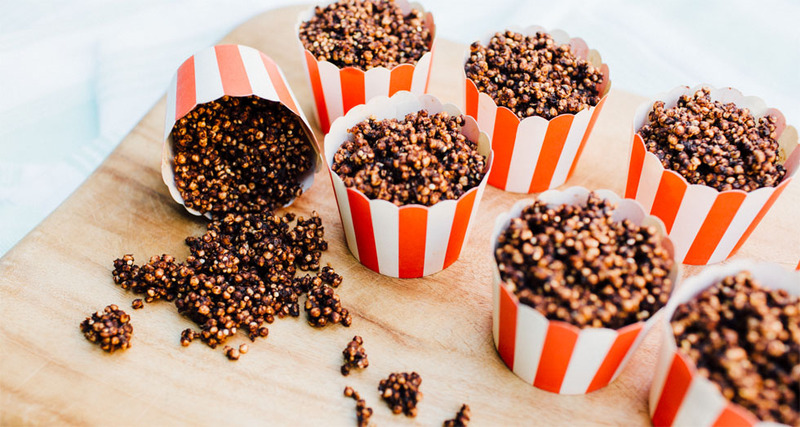 This is my go-to chocolate treat when my kids have playdates (and the adults often indulge too!). By using black beans for the base they’re gluten-free, dairy-free and nut-free, not to mention high in folate and a good source of iron and fiber. Phew, that’s a lot of good stuff! Grease a small square baking dish with coconut oil. Place all the ingredients in a blender and process at a high speed until smooth. Place in oven and bake for 25–30 minutes. Check after 25 minutes by sliding a knife into the brownie. If it comes away clean, the brownies are ready. Serving and storage: Allow to cool before cutting into little squares. Serve with coconut cream and fresh strawberries for a finger-licking good dessert. Yum!